It's a joint venture between Bajaj Finserv Limited and Allianz SE. Both enjoy a status of proficiency and power. The comprehensive life insurance solutions, technical expertise, and experience of Allianz SE combines with the in-depth market knowledge and goodwill of "Bajaj" brand in India. Competitive pricing and customized life insurance solutions have earned Bajaj Allianz Life the customer's trust and market leadership in a very short time. Life insurance is a type of comprehensive coverage that is ready to provide required financial assistance in different stages of life. Some plans provide you the facility of savings and a few provide protection that will allow you to have a worry-free life. ULIPs or Unit linked insurance Plans are economic units that offer the satisfaction of both worlds.It combines the characteristics of market-related investments and life coverage. A small amount of the premium is going into buying life cover while the closing part of the premium is invested in an equity or debt fund, primarily based on one’s desire. It offers maximum premium allocation to ensure that you get the most value for your money. Along with a life cover that protects the financial well-being of your loved ones, the plan also provides you with one of the easiest avenues to build more wealth for your future financial goals. It is a non-participating, individual, single premium Unit-Linked endowment plan. Loyalty Additions of 3% of the single premium depending on the single premium policy term chosen. Options to take maturity benefit in installments (Settlement Option). A guaranteed maturity unit linked insurance plan that has been designed to cater to all your requirements and at the same time also safeguard your investments. Multiple policy term and premium payment term options to choose from. 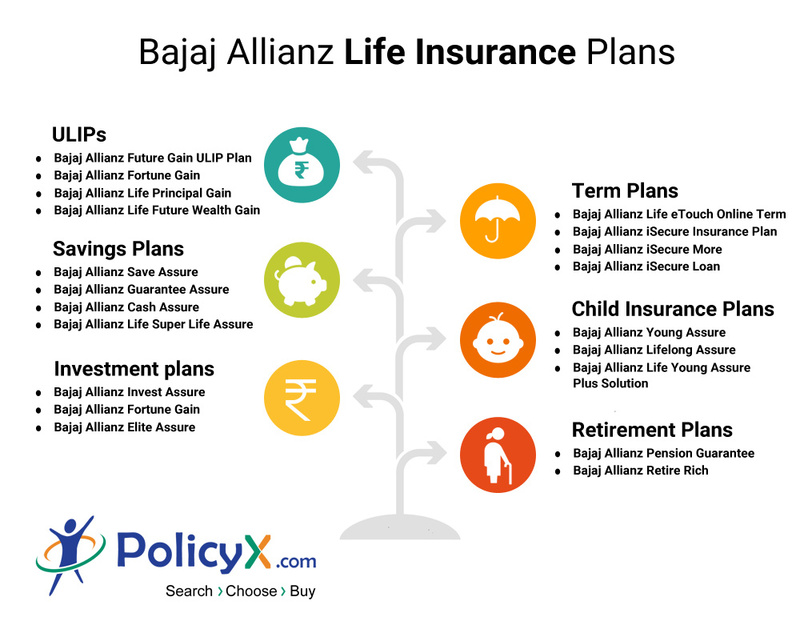 It is a non-participating, individual, unit-linked regular/ limited premium payment endowment plan with two variants, Wealth Plus and Wealth Plus Care.Bajaj Allianz Life Future Wealth Gain plan offers the dual benefit of protection and growth to fulfill the dreams of your loved ones. Term insurance is the purest form of insurance.  The policy will be in force for a particular term (say 30 years or up to the age of 75) and then comes to an end. During the time the term policy is in force, the insured pays a fixed premium to the insurance company at regular intervals. This Term plan offers comprehensive protection against the different stages of life. With Bajaj Allianz Life eTouch Online Term Plan you can secure the financial future of your loved ones with up to Rs. 10 crores as life cover. It is a level cover term assurance plan that secures your family’s financial needs by giving you a level term cover for high sum assured, but at a low cost. After this policy term expires the term insurance cover is no longer valid. If the insured dies during this term, the death benefit is paid to the nominee. It is an increasing cover term assurance plan that enhances your protection to meet your family’s increasing financial requirements. It is a plan that helps to secure your family more & more as the years go by. iSecure loan insurance plan protects you from any loan liabilities This term insurance plan is the best way to secure your family from any kind of loan liabilities. A non-linked whole life term plan that provides protection at all stages of our life, but most of the time achieving this through-out our life is very difficult. It offers term assurance cover, accidental death cover and critical illness cover, depending on your choice. It is a non-linked, non-participating regular premium payment insurance plan that provides level cover term assurance or terminal illness benefit. No maturity benefit shall be payable on survival till the end of the policy term. Saving plans are life insurance products designed to support disciplined savings and at the same time ensure steady returns throughout the policy term which can be payable as monthly income or lump-sum depending on your need and chosen plan. A traditional endowment plan that not only secures you and your family but also guarantees 115% of your sum assured. A non-linked, non-participating, individual limited premium endowment plan that helps you live a worry-free life. You will receive the sum assured chosen by you and the accumulated guaranteed additions as maturity benefit on the maturity date, provided all due premiums have been paid. A traditional money back plan which provides protection & compulsory savings. It provides lump sum payouts at regular intervals to meet your interim financial requirements and provide the best to your family. A plan that provides the twin benefit of comprehensive protection & compulsory savings for your targeted financial goals. It also offers an option to select a unique feature - Income Benefit which will help your family maintain their standard of living in case anything unfortunate happens to you. A plan which guarantees a regular monthly income for you and your family along with protection in case of any eventuality. 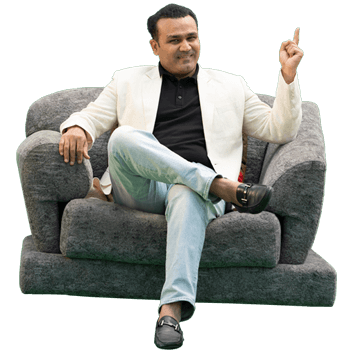 A plan which provides for your 2nd income and helps you achieve financial freedom - 'Guaranteed'. Investment insurance is to secure your financial goals and objectives with current investing resources that you have in hand. Investing your money takes a great deal of time, tools and resources. It is a non-linked endowment plan. On the maturity date, if all premiums are paid, the Sum Assured plus vested bonus and terminal bonus, if any, under your policy, will be paid and the policy will terminate. The surrender value shall be higher of the Guaranteed Surrender Value(GSV) and the Special Surrender Value(SSV) will be payable at any time of surrender throughout the term of the policy. A Unit-Linked Single Premium Endowment Plan that provides up to 99.5% premium allocation to make sure that your valuable money is fully utilized towards building you a fortune. Under Bajaj Allianz Fortune Gain, the maturity benefit will be the single premium fund value plus top-up premium fund value, if any, both as on the maturity date, provided the policy is in force. A traditional savings plan that offers the most attractive return while protecting your family. You will have the option to surrender your policy anytime, provided at least 1 full year's premium has been paid if Premium payment term is less than 10 years or at least 2 full years' premiums have been paid if the premium payment term is 10 years or more. A retirement plan is a systematic savings and investment plan that will help you organize your finances and prepare for your retirement. With rising expenses and inflation, it stands to reason that by the time you retire, the corpus needed to maintain your lifestyle will be a verge one. This is a non-linked non-par immediate annuity plan that gives you a guaranteed profit after retirement so that you can live worry-free. Clients can select from a range of annuities, primarily based on their necessities. Annuity price frequency also can be selected by using the purchaser, i.e., month-to-month, quarterly, semi-yearly, or yearly. The only factor you need to do is to pay a lump sum amount to Bajaj Allianz life, the pension or annuity could be paid out as quickly because of the expiry of the payment mode you've selected. The mode can be a month, 1 / 4, a half-year or 12 months from the date of purchase. Based on the alternatives you've selected the pension payouts will take place, all options have an annuity amount paid for life, so the pension will maintain on providing you a stress-free retirement. It is a unit-linked plan that can be purchased to financially comfort your retirement years in the future. The plan presents the option of constrained, single, or ordinary premium payment. Clients can also trade the premium charged and the time period if required. The premium may be paid yearly, half-yearly, quarterly or month-to-month. The premium paying time period is much less than 7 years, 7-10 years and 11 years and above. The policyholder can even get 30 days grace period to pay the yearly, 1/2-yearly and quarterly premium payment. For the monthly premium price, the policyholder will get 15 days grace duration. Child plans are regular life insurance policies designed in such a way that they meet the needs of your children financially as and when it arises. The most important benefit of child plan is that even if the parent were to meet with an unfortunate event your child's needs would still be taken care of. Bajaj Allianz Young Assure is a traditional participating regular and limited premium payment endowment plan to ensure a bright future for your loved ones. Multiple premium payments and policy term options are there to ensure that money is available to you during the crucial years like child's education, marriage, etc. A unique plan that provides you income & protection till your 100 birthday, so that you can live worry-free for a lifetime. You will start receiving guaranteed cash back of 3% of your sum assured every year, from the end of your premium payment term till the age of 99 years. An innovative solution for building a child education corpus. This Solution is a combination of two policies of Bajaj Allianz Young Assure. It a traditional participating regular and limited premium payment endowment plan with different policy terms, premium payment terms and/or cash installment options. Life insurance is a great tool which is widely used by people to provide a basic cover for their family so that they could easily meet their critical needs and have a standard of living even when you are not around to take care of them. This is because, with the help of an effective life insurance plan, the insurance company will pay a predetermined sum of money after your death to the beneficiary as stated in the policy’s documents. You can even get the same when you are bedridden with any critical diseases. Thus, life insurance refers to be the most effective insurance plan that you must add to your investment portfolio. Family's Financial needs:If you are the only earning member in your family, imagine what will happen after your demise or in case you suffer from any critical diseases, surely your income will cease. With no regular income, the normal life of your family members would be affected. They would not be able to meet even the basic needs such as education and much more. Thus, in such cases, life insurance would be the best one to go for. Loans and Expenses settlement: It might be possible that you are paying EMIs of any loan that you have taken. Or you have borrowed some money from a friend or colleague for starting your own business. It might be possible that you have just started your family and had a young child. In all such cases, your spouse will have to face several difficulties and the burden of paying such amounts and managing the education of your child also. But with a life insurance plan, your spouse would be able to deal with all such situations easily after your demise also. Diverse Investment Options: You can also invest money in life insurance as an investment. There are several forms of life insurance policies available in India. Such policies are used for different purposes such as retirement plans, child insurance policies, whole life insurance plan, term insurance plan and much more. Benefits: There are several benefits that you will get under a life insurance plan, such as tax benefit, good investment, protection and much more. 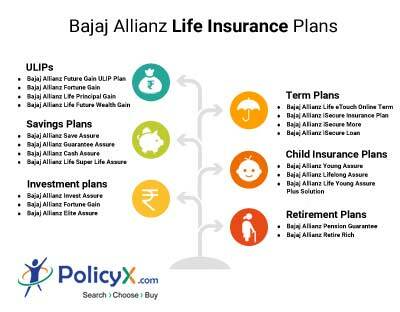 You can check the status of Bajaj Allianz Life Insurance policy with several different channels according to your convenience. Bajaj Allianz is allowing you to take help of both online as well as offline avenues through which policyholders can easily check the status of the current policy. To check the same from the comfort of your home or office then you can take the help of the online mode. For the same, you have to first visit the portal and log in to the customer portal. Once you logged in, the current status of your policy will be displayed on the screen. Moreover, you can also check the same by sending an e-mail to the company's customer care tea along with basic information such as name, address, contact details, policy number, etc. The representative will share the status of your policy through E-mail. You can also take help of live chat option to get the details. At the right corner of the Bajaj Allianz life insurance homepage is a 'live chat' tab. On clicking, you can chat with a representative of the company who will provide an update on the policy status. Policyholders can also check the status of the policy through the offline mode. For the same, you have to visit the branch of the company and inquiring about the current status of their policy. Customers can also call on the toll-free number of Bajaj Allianz and check the status of their policy. Bajaj Allianz has come out with SMS facility as well, to check policy status and details as well. Policyholders can send an SMS, to clear the query. The company does not allow customers to wait in the long queues to deposit or pay a premium. They can easily make payments through the online payment without missing deadlines. Visit Bajaj Allianz life insurance website and log into the Customer Portal. Choose the 'Pay Your Premium' option. Submit your policy number, date of birth, email ID, and mobile number. Post this, click on the ‘Pay Premium’ option. On successful payment, an acknowledgment receipt will appear on screen as the confirmation. GE PLAZA, AIRPORT ROAD, YERAWADA, PUNE 411 006, MAHARASHTRA. 1. Can someone remove or add riders from the base policy? Yes, you can add or remove riders but only on policy anniversaries, or at the time of renewing the policy. 2. How can I check my claim status? You can check the same by visiting the Bajaj Allianz website. 3. Is death by natural calamities covered? The cover is there with you against all natural disasters for both Basic Benefit and Accidental Death Benefit, if it has been availed. 4. Can someone re-file the claim in case of unsatisfactory result? Yes, sure. The Claims Review Committee will look into the matter with the results that are communicated to you. 5. Are there any tax exemptions on benefits received? Yes, Life insurance policies are also liable for tax deductions under Section 10(10D) of the Income Tax Act, 1961. 6. Will the loss of my policy bond results in a failed claim settlement? No, the claim can be processed with some additional documentation.